This year’s Wells Report on Deflate-gate, in contrast to last year’s Wells Report on the Dolphins bullying scandal, reads long on innuendo and short on facts. It presents conclusions at odds with the evidence. Most incredibly, Ted Wells shows that at least one of the two referees measured that eight of the eleven Patriots game balls fell within where the scientists employed by Wells said they would sink to given weather conditions. This doesn’t indicate a verdict of “probable” guilt. It indicates a zeal to prove an incoming hypothesis. An example of the overzealousness of Wells appears on page 91 of his report, where he publicizes John Jastremski’s private texts to his mother on a matter completely unrelated to the point of the investigation. The Patriots employee at the heart of the controversy boasts of possessing the ball used by Tom Brady to eclipse the 50,000-yard passing milestone. “Funny…go to patriots.com,” he tells his mother. “They have an article about the 50,000 yard ball…if they only knew :).” The texts talk of the ball, which owner Robert Kraft believed he possessed, possibly funding Jastremski’s honeymoon. Why, if not to embarrass the man and jeopardize his continued employment, did Wells print such extraneous material? The same goes for allegations that the Pats employees sold freebie tickets for profit, solicited shoes from Uggs pitchman Tom Brady, and sought basketball tickets from the celebrities they worked for. How, in even a tangential way, does this relate to whether they purposefully deflated balls prior to the AFC Championship Game? Here, Ted Wells offers no proof relating to the matter at hand but much proof of his desire to attaint the heretofore unknown employees who denied his allegations. The inclusion of such extraneous material surely makes for a better read. It also validates Brady’s decision not to allow the investigators to rifle through his cell phone and computers. Wells dubs Brady’s refusal as “not helpful.” To whom? 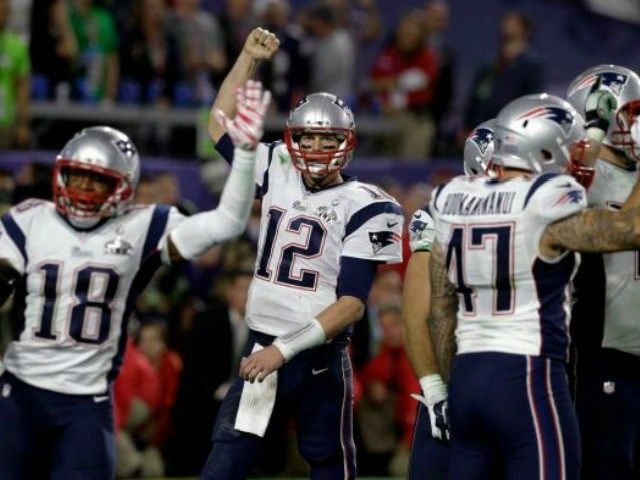 The report claims that the four-time Super Bowl-winning quarterback denied their entreaties “even though those requests were limited to the subject matter of our investigation.” Clearly, the embarrassing immaterial material released from the communications between the far-from-famous Pats equipment handlers makes this statement a farce. Elsewhere, Wells relies on evidence suggesting the opposite of what he believes probably happened as a way to prove his case. Biased investigators embrace this methodology because it enables them to prove anything. Jim McNally suggesting to “blow up the ball to look like a rugby ball,” a “watermelon,” and a “balloon” might have proved to be a smoking gun if Wells charged the equipment guys of overinflating balls. It’s surely relevant in indicating Brady’s frustration with overinflated balls. But when McNally and Jastremski point to referees pressurizing balls to 16 psi—2.5 psi over the limit—the evidence just as easily points to Brady looking for a ball deflated to regulation than to one deflated below it. It may be the case that Brady sought an edge on the rules. But this evidence presented mostly undermines rather than buttresses that thesis. Buried deep in the report, Wells concedes that “the air pressure of all of the game balls tested at halftime decreased from the levels measured prior to the game.” In other words, Wells affirmed Bill Belichick’s point, ridiculed by Bill Nye “the Science Guy” and others, that the weather naturally deflates balls. All of the balls—Patriots balls and Colts balls—lost pressure by halftime. Significantly, the 11 Patriot balls showed greater decreases than the four Colt balls tested. More significantly, judging by what the scientists employed by Wells told him, eight of the 11 balls tested at halftime fell within the expected range of pressure drop based on the measurements of at least one of the two NFL officials who gauged the pigskins. This, more than anything else, invalidates the conclusions of the Wells Report. Though Ted Wells theorizes a conspiracy to depressurize balls, measurements by NFL referees on the majority of the Patriots balls read precisely where the scientific firm employed by the investigators said a ball inflated to 12.5 psi–the NFL minimum–would fall to (between 11.52 and 11.32) as a result of game-time conditions. Since the psi measurements of the two referees varied somewhat, the opposite–that a majority of the balls failed to meet the expected level–is also true. Remarkably, the report chooses to interpret the data exclusively in a manner that suggests malfeasance. “Most of the individual Patriots measurements recorded at halftime, however, were lower than the range predicted by the Ideal Gas Law,” the report reads. But the fact that by at least one or the other referee’s measurement, the air pressure of eight of eleven balls fell to expected levels undermines the verdict of “probable” guilt. And surely judgments of “probable” guilt deserve a verdict all their own.